The Montreal Symphony Orchestra on Sunday said it was launching an investigation into allegations of sexual misconduct against renowned conductor Charles Dutoit. The inquiry into the 81-year-old Swiss maestro's behavior came a day after a female musician from the Montreal orchestra lodged a complaint, the organisation said. "In the wake of revelations made against Charles Dutoit, the executive committee of the MSO decided today to take steps to verify the reports of sexual harassment within its company," it said in a statement. It said it had entrusted the inquiry to an independent third party which would have a mandate to "establish the relevant facts by meeting the person who made the complaint and any other person who may be called upon." It will "give appropriate support to anyone who needs it" and also "make appropriate recommendations to the executive committee" of the orchestra. Dutoit, who was the artistic director of the Montreal orchestra for 25 years, between 1977 and 2002, has adamantly denied the charges. "The allegations made against me are as shocking to me as they are to my friends and colleagues. I do not recognize the man or the actions being described in the media," he said in a statement on Saturday. "Whilst informal physical contact is commonplace in the arts world as a mutual gesture of friendship, the serious accusations made involving coercion and forced physical contact have absolutely no basis in truth." The complaint was lodged after four women -- three singers and a musician -- told The Associated Press they had been subjected to inappropriate sexual behavior by the conductor between 1985 and 2010. 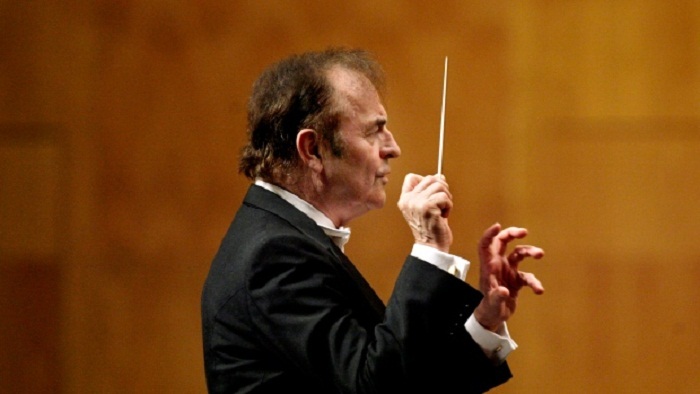 Following the report, at least five orchestras worldwide -- London's Royal Philharmonic, the Cleveland Orchestra, the San Francisco Symphony, the Boston Symphony and the New York Philharmonic -- have cut ties with Dutoit.